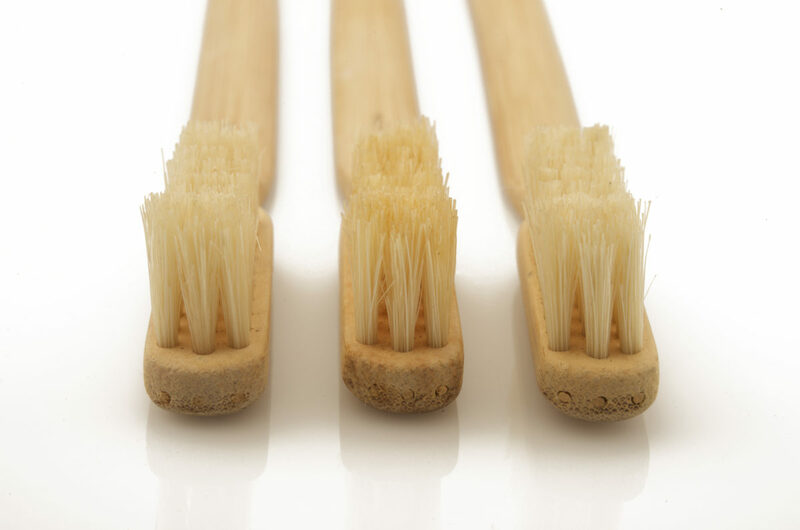 Around 1780, England’s Addis Company became the first toothbrush manufacturer, and, from 1845 to the 1880s, a thriving toothbrush industry developed in France’s L’Oise region. The craft passed from France to Japan in the 1870s when the Meiji government became interested in adopting Western technology and customs. Before long the Japanese were producing and exporting large quantities of inexpensive bone-handled, boar-bristled brushes. In the late 1930s, with the approaching war, the supply of natural bristles from China dwindled and, in early 1938, Japan announced its development of synthetic bristles from viscose threads. Later that year, DuPont proclaimed invention of its new ‘Exton’ nylon synthetic bristle. Nylon had certain advantages over natural bristles including more refined grades of stiffness, and resistance to contamination, water absorption, heat and force, but it was abrasive to the enamel and gums. Addis, R 1939 The History of the Toothbrush. Br Dent J 66:532-533; Mattick, BE 2010 A guide to bone toothbrushes of the 19th and early 20th centuries. Bloomington, IN: Xlibris Corp; Segrave, K 2010 America Brushes Up, the use of marketing of toothpaste and toothbrushes in the twentieth century. Jefferson, NC: McFarland and Co. 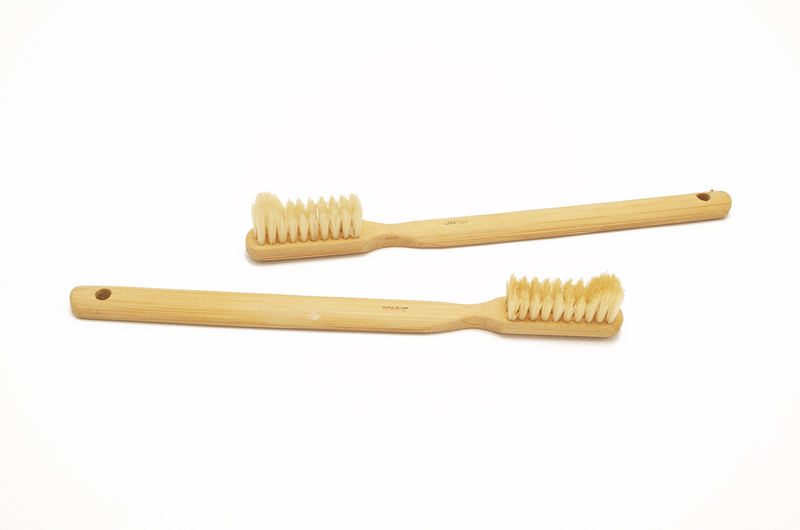 These Japanese toothbrushes, with bamboo handles and natural bristles, date circa 1920-1940. The bristle tufts on these brushes (A533.18 & .19, A648.1) were attached using the trepanning method.